Why are there so many denominations in the world when Jesus said that He would build His church? Why are there so many churches with so many different doctrines? Didn’t Jesus say that He would build His one true church? Is there such a thing as the universal church? There are an estimated 37 million churches in the world with 50,000 new ones added every year and no two are the same. There are so many churches because there are so many Christians in the world. In fact, 1/3rd of the world’s population are Christ followers and it is growing exponentially too. These figures do not count the millions of underground and house churches where it is dangerous to profess your faith publicly. One lady in a Muslim country was thrashed and beaten for simply wearing a cross to school and the local police failed to file any charges against the school and in fact, threatened the lady herself that they could not possibly protect her if she ever wore a cross in public again. The school ripped the cross off of her neck and threw it in the trash. The church is not actually a building but is composed of a body of believers, called the Body of Christ. This is why even house churches with just a few Christians can be considered a church by definition. Jesus said in Matthew 16:18 that “I will build my church, and the gates of Hades will not overcome it.” The Greek word used for church is “ekklesia.” The word “ekklesia” is found in one hundred and fifteen places in the New Testament. It is translated in English one hundred and thirteen times as “church” and the remaining times it is translated as an “assembly.” In classical Greek the word “ekklesia” meant “an assembly of citizens summoned” which is a great definition. The “citizens” in this case are citizens of the Kingdom of Heaven…or the Body of Christ. Since Jesus said that the gates of Hades (literally, hell) will not prevail or stop His church from being built and the church will prevail even till the time of Christ’s Second Advent, we know that the church will not be stopped by anything or anyone. The writer of Hebrews constrains us to not be “forsaking the assembling of ourselves together, as is the manner of some, but exhorting one another, and so much the more as you see the Day approaching” (Heb 10:25). If we should forsake the assembling of ourselves together, then it would be impossible to “consider one another in order to stir up love and good works” if we are being a lone ranger Christian. In the New Testament churches, there are no lone ranger Christians and the epistles (letters) in the New Testament are written to specific church’s at specific locations and were naturally written to the church members in them. Well over half of the New Testament contain these letters that are written to the church’s and the Christians who attend them. These letters were beginning to be circulated to the different churches in Asia Minor late in the first century. There are an estimated 34,000 plus denominations of churches in the world today including 1,200 in the U.S. alone. Why are there so many different denominations? What are the reasons behind this number of denominations when Jesus said that He would build His church, assuming it would be one, universal church (Matt 16:18)? Are all of these thousands of churches under the Headship of Christ Jesus? Most certainly not all of the churches nor all of the thousands of denominations teach sound biblical doctrine. Some are absolutely heretical and others teach a smorgasbord of beliefs from the Bible and other religions. Yet others teach that Jesus became God and was not God at one time. Some believe that even God the Father was at one time not a god. This teaching is contrary to what the Bible says (John 1). Even though there are thousands of denominations, there really is no single church that has all known truth and teaches it perfectly. There is no one church that has absolutely no error, just like every Christian alive can not possibly know all truth. As long as the essentials to the faith are there, like the Chief Cornerstone Jesus Christ being the central focus of worship, churches can still be under the Headship of Christ Jesus. If you look at nature, if you look at the human race, and if you look at the intricacies of human understanding, you see that God loves variety so it should not surprise us that there are a variety of different denominations embedded within different nations and cultures. Its like asking why are there so many different flowers like the rose, the lily, the iris, and so on. Just like there are no two snowflakes that are exactly the same, there are no two Christians or no two churches that are identical. I believe God loves such variety as long as there are no blatant doctrinal errors within the body of that church. God seeks the worship of all nations, all ethnic groups, all people groups, from all over the world. Any church that does not teach the divinity of Jesus Christ, that He was God before the earth existed, that there is a Holy Trinity, that Christ came to earth and was born of a virgin, lived a sinless, perfect life, and died to have the wrath of God placed on Him instead rightfully being placed on humans, that He was raised or resurrected on the 3rd day and today sits at the right hand of God in Heaven, is not the one that Jesus Christ built and founded. It is simple as that. “If anyone teaches otherwise and does not agree to the sound instruction of our Lord Jesus Christ and to godly teaching, they are conceited and understand nothing. They have an unhealthy interest in controversies and quarrels about words that result in envy, strife, malicious talk, evil suspicions” (1 Tim 6:3-4). There are so many debates between denominations today that it must surely grieve Jesus‘ heart. As the timeless statement from the church historian, Philip Schaff said, we must embrace that “In Essentials Unity, In Non-Essentials Liberty, In All Things Charity (love).” Yet many Christians and many churches take non-essentials and make heated debate over them. Others find no unity in the essentials. And frequently both groups show no love toward one another. Since the non-essentials are not intended to create division and are not essential to salvation, why have these issues resulted in Christians attacking other Christians? Some believe in tongues, some do not, some believe in foot washing, some do not and since these are non-essentials to salvation, they should not be causing such bitter strife, division, debate or even heated arguments. Where is the love that is Paul’s focus on non-essentials in these cases? Why not give grace to others who may not have exactly the same beliefs as you do in the non-essentials? Each Christian is different, each one has been raised with different views. Having differing views on non-essentials is no reason to engage in heated exchanges that end up in arguments. Imagine what Jesus would think if He saw and heard us quarreling over something that is not a bedrock belief in our salvation? How mortified would Christ be when churches divide over the color of the carpet? Even Jesus, when He had railing false accusations made against Him and outright boldface lies told about Him remained silent. Let us remember that “When they hurled their insults at him, he did not retaliate; when he suffered, he made no threats. Instead, he entrusted himself to him who judges justly” (1 Pet 2:23). In other words, would it not be better to suffer insult, attacks, or ridicule than to respond in kind? If Paul and certainly Christ could hear all of the wrangling between Christians and between denominations today, they would both say to us, “If I speak in the tongues of men or of angels, but do not have love, I am only a resounding gong or a clanging cymbal. If I have the gift of prophecy and can fathom all mysteries and all knowledge, and if I have a faith that can move mountains, but do not have love, I am nothing. If I give all I possess to the poor and give over my body to hardship that I may boast, but do not have love, I gain nothing. Love is patient, love is kind. It does not envy, it does not boast, it is not proud. It does not dishonor others, it is not self-seeking, it is not easily angered, it keeps no record of wrongs. Love does not delight in evil but rejoices with the truth. It always protects, always trusts, always hopes, always perseveres. Love never fails” (1 Cor 13:1-8b). Repeating some important words here: love is kind, love is patient, it does not boast, it is not proud, it does not dishonor, it is not easily angered…love never fails. Let it be so among us in the non-essentials. So to summarize the answers to the questions stated in the opening of this article and as we study the Bible, we can see that there is only one true Church, and that is the body of Christ. This is the assembly of believers (though they meet in all parts of the world, at different times, in different buildings). Many churches are needed to support the 1/3 of the world’s known population of Christians (and the underground population that must hide for safety). Denominations are a man-made thing. Not all denominations, or even churches are under the Headship of Christ Jesus because some have drifted away from what the Bible teaches as essential doctrines. When a church deviates from the truth that is in the Bible, they are not part of the true Church. When they teach anything other than the true gospel, they should beware because the Bible warns against this (Gal 1:9; 1 Tim 6:3-4). If you are interested in joining with a church, be sure to ask to see their statement of faith — if it does not line up with what the Bible teaches or if there is no statement of faith, think again and continue searching for a doctrinally sound church. Remember there is no perfect church because we as humans are not perfect, but Jesus taught us about the true Church and this is all recorded in the Bible. As Christians we should have a biblical world view and the only way to do that is to read the Bible to learn what it says about the subject at hand. How to Find a Bible Believing Church Another article by Jack Wellman asks and answers some great questions that everyone should ask when they are looking for a church. How to Choose a Church: 7 Things to Look For Pastor Daryl Evans gives some great advice in this “tips” type article about how to choose a church. 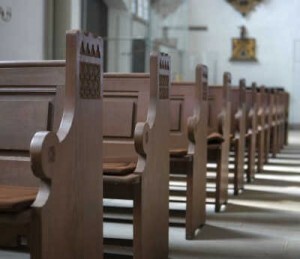 What does the Bible Say about Church Membership and Attendance? More great questions and answers about a subject that many Christians want to explore. Check this article out, Pastor Jack shares great information here. Awesome is the only word that comes to mind. Giving Glory to God. I will share with as many as possible. Thank you. Thank you so kindly Carrie. What a blessing your comment was to me. We had this written in the hopes that we are all worshiping Christ. It is no so much where we worship but Who we worship. Hey Jack, I just want to start off by saying that I am happy to have found this site. I habe been having some trouble with my faith and wanted to know if you can help me out? I have been having this trouble for about a year now and it has been bothering me. First it started off with a news report with scientist Stephen Hawking claiming that there is no heaven or no god, next it came from talk that the bible contradicts science and that it contradicts itself, and many athiests claim that christians “cherry pick” their verses to suit them, and I have came across christians that say they became athiests because they went to college and studied many religions and how they arose, or went into a field of science(biology, psychology, or astronomy) and said there was no basis for their former beliefs. Another thing that scared me was a research done by Michigan University that shows athiests know more about christianity than christians themselves, and all these findings had me questioning the existence of god and the authority of the bible. I have looked for some good christian scientists who tackle the issue, some did okay but others who athiest scientist claim were exposed and arrogant(Kent Hovind) and I believe those christians give christianity and good christians a bad name. I mean I want to get back into strongly believing in god and the bible like I used to but these studies I am finding it hard, now sometimes I believe other times I doubts, can you help me out? Any secular or worldly university study you must know is going to be biased. I would like to debate an atheist and in fact have done so….there is no concrete evidence that atheists know more about God that Christians know about atheism. Kent Hovind was exposed? By what? How so? You know they are going to try and deceive you about something because atheists truly don’t want there to be a God so they won’t have to give an account for their sins. Find out just where they say the Bible contradicts itself. Did they give Scriptures? Let me know of them and I bet I can reconcile their misconception. God is not a liar. The Bible is true. In the last times persecution will grow worse. Just type into the search box on the top of that link and type in “evolution” or “blind chance” and see how many scientific articles I have on this site that establish God as Creator, Creation as a fact, and evolution as a myth. Let me know what you think. Well I do remmember pointing to scriptures in Mark as having contradictions, another thing that often bothers me is when athiests cite old testament scriptures to try to prove the bible condones slavery. I also hear some christian scientists say they believe in evolution, do you know why? Thank you again. Which Scriptures in Mark are contradicting? Can you be more specific? Atheists are condemning about anything to do with the Bible and they are saying the Bible condones slavery? What they need to do is actually read the Bible, i.e, Exodus 21:16 states, “Anyone who kidnaps someone is to be put to death, whether the victim has been sold or is still in the kidnapper’s possession.” Hmmmm, what would they say about that? Some Christian scientists say they believe in evolution. Some? Who? Where did you hear this from? Which ones do? The ones that I know of do not. I don’t know why they would because they used to believe the earth was flat at one time. They believe in an unproven theory? Why after 155 years its still a theory and not moved into being scientific fact? Believing in something, like evolution, does not make something true. Well the christian scientists who do believe in evolution are Francis Collins, Francisco J Ayala, and Gerald Schoer, do you know who they are? And I will readily admit that I haven’t really read the bible thoroughly. I have heard some athiests claim that they read the bible entirely and studied different religions(christianity included) and their origins and that is why they are athiests and some of these people are former christians. I’m sorry to bring up so many issues but they have honestly left me with no peace of mind. Could you take a look at the Michigan knowledge of religion statistics real quick? This is really frightening me. No problem bringing up these issues. That’s what we are here for my friend. In the first place, atheists do not exist and so God doesn’t believe in atheists. Why? One of the greatest scientists who ever lived, Thomas Edison, said, “We do not know a millionth of one percent about anything.” That’s probably a conservative figure. The atheist says dogmatically that there is no God but the can not prove this beyond any doubt. Have they been to all quadrants of the known universe? Haven’t they seen the thousands of archeological digs confirming the Bible is true? They can not ever be absolutely certain that God does not exist. One absolute truth is that we do not know everything there is, therefore, absolutes do exist. So if you say categorically that, “There is no God,” is to make an absolute statement for which you can not prove. For that statement to be true, I must have absolute knowledge of the entire universe in all dimensions and in all recesses of the universe, even beyond those we can not see or ever hope to reach. We already have the concrete absolute that no human being has all knowledge. Therefore, none of us is able to truthfully, dogmatically and absolutely make the assertion that there is no God. If you insist upon disbelief in God, what you must say is, “Having the limited knowledge I have at present, I believe that there is no God.” Owing to a lack of knowledge on your part, you don’t know if God exists or not. You certainly can not prove absolutely that He does not exist. So, in the strict sense of the word, you cannot be an atheist for an atheist denies any beliefs in a God for which they can not have concrete proof of their belief. Without concrete evidence or proof, how can the atheist declare with absoluteness that there is absolutely no God? This can never be proved conclusively. While it is true that theists and agnostics, Jews and Mormons are among the highest-scoring groups on a new survey of religious knowledge, outperforming evangelical Protestants, mainline Protestants and Catholics on questions about the core teachings, history and leading figures of major world religions. This may seem paradoxical, since atheists and agnostics have very low levels of religious commitment and yet score very well on the survey questions. HOWEVER, atheists and agnostics account for a relatively SMALL share of the total number of people with low levels of religious commitment; 4% of Americans describe themselves as atheists or agnostics, while fully 35% have low religious commitment. Atheists and agnostics answer an average of 20.9 questions correctly, compared with an average of 15.4 correct answers among people with low religious commitment who do not describe themselves as atheists or agnostic. If you were to subject the same numbers in the surveys, the test scores would actually flatten out. Many profess to be “Christians” and yet never read their Bible or go to church. Atheists know the Bible only because they are looking for things to attack it for. Make sense? This same website at Mich State said, I quote, “Statistics on religion, like most other statistics, must be interpreted with a critical eye. Data on religion may be reported at either the insitutional level or the individual level.” Take this with a grain of salt in other words. If you are fearful it is because you have not read the Bible yourself. Don’t believe what others say, read for yourself. I’ll check that out. Thanks for your help, I appreciate it, if I have anymore more questions I’ll come back. I have another question. Did Paul the apostle really believe that the world would end in his lifetime, and did Jesus tell his disciples that after he died he would return within their lifetime? Thank for the questions. I believe that Paul did not know of the time of Christ’s return and so every Christian has lived with this tension of Jesus’ return could come at any given moment. The world is not going to end but the end of this age and the Kingdom of Heaven will begin. When Jesus said that He would return again for His disciples, the disciples also thought that Jesus return would be in their lifetime but when Jesus “said to them, “I tell you the truth, some who are standing here will not taste death before they see the kingdom of God come with power.” (Mark 9:1). The understanding is that since He was standing on the Mount of Olives, where He would ascend (go up) up into heaven, some would be standing there that would not “taste death” before they see the kingdom of God come with power. Two ways this could happen. One is that this is the same place that Jesus is prophesied to return to the earth and as Zechariah 14:4 says, “On that day his feet will stand on the Mount of Olives, east of Jerusalem, and the Mount of Olives will be split in two from east to west, forming a great valley, with half of the mountain moving north and half moving south.” and so when He returns, some will not taste death but will be changed from mortal to immortal and be as He is. Another possibility is that the disciples did see the Kingdom of Heaven in the Transfiguration in Matthew 17:1-7 when Jesus revealed His divinity in what is called the chicana glory (some spell it shekinah glory) and so they did see the Kingdom of Heaven in Jesus’ divinity and saw Moses and Elijah and this was the future of the coming Kingdom of Heaven. Thank you Jacob for your question. Faith is defined by God’s Word, the Bible. Faith is a trust issue. To have faith that a chair will hold you up is to trust that it will and have faith to sit down on it. Heb 11:1 says “Now faith is the substance of things hoped for, the evidence of things not seen.” Our faith is only as strong at the Object of our faith and that is Jesus Christ. Faith is trust with feet on and walking with it. Read all of Hebrews 11 and you’ll see faith being lived out. In verses 13 & 14 for example it says, “All these people were still living by faith when they died. They did not receive the things promised; they only saw them and welcomed them from a distance, admitting that they were foreigners and strangers on earth. People who say such things show that they are looking for a country of their own.” Faith is not a hope-so but a know-so. Hope that answered your question Jacob. And led the eventual reformers in the right direction (though they did end up failing as well). You are right in saying the church is a assembly of believers, but not every assembly is correct for sure, and the reformation sparked some of the most influential heretical and schismatic groups. Many of These groups are still alive and well in Modern Protestantism. This is all a “feel good theology” for a Protestant failure in ekklesiology. Protestantism is what happens when a simple man is left to interpret Holy Scripture and decide what HE THINKS God is saying. I am Greek Orthodox, forgive me for possibly sounding rude, but this is simply such a bad idea, that I must comment. Indeed, it is scary if you believe you are the only ones who have access to Jesus Christ. All I can do is that you are not judgmental and condemning in person to those around you. Yes, you are rude but I do forgive you. I am sad that you are condemning Protestants and the Roman Catholic church. It is good that not all Greek Orthodox’s feel the way you do and I am thankful to God for them. This confirms one of the wisest quotes I have encountered. I have read a quote that describes this article. This is not our church, Pastor ___’s church, or your church, but it’s God’s church. Denominations are totally man-made, meaning that the thousands of churches are man made, but the same goal of all- to know the love of God and Jesus Christ. I truly do not think God shrugs a shoulder when it comes to denominations, it’s such a preference and dependent on what you have been exposed to, but instead he focuses on whether our hearts are true and set to praise Him and Jesus Christ. Amen Sara. The church is not a building nor a denomination, but the Body of Christ. Thank you for your comment full of wisdom my friend. This is so helpful! I’ve been struggling with trying to find the “right denomination.” I was afraid of choosing wrongly, and then going to hell because of my choice, which seems ridiculous. Now, I know what to look for, and one that suits my personal taste in a church. To me that’s all denominations seem to be, personal preference in loving Jesus. Thank you for this article and this site! I am new to Christianity, as I feel that God has recently called on me. Hello Amber. You are so kind. If you look at nature and different nations and peoples, we see a great variety indicating that God loves variety. I appreciate you saying that. As a pastor, I would never put down other Bible-believing churches. I am overjoyed that you are a new believer. That is so awesome. Thank you Jack for commenting back! Yes, I am new to Christianity, and have so many questions in my journey of seeking truth. (And I’m excited!) My journey brought me here to this site! I feel like I’ve always had a spiritual side, or a love for a creator, as I have always felt connected to something bigger than myself, or an inner knowing. I didn’t know how to describe it then, but now I know that it was God all along. I recently gained a fear of death, and was so upset about it…it was consuming me. That fear led me to Jesus, and once I found him, I was comforted. And I am thankful. I also feel that God is showing me all kinds of signs everywhere I look, every day, telling me that he is with me, and he wants me to fulfill my purpose here on earth. I’m not 100% sure of the specifics yet of my purpose, but I think I am on the right track. I know God would want me to be kind to all people, even those I don’t get along with, find a good church, help those less fortunate, and inspire others with my art, as God has given me the gift of being artistic. At least I hope that last part is part of my purpose. 🙂 And I hope I am doing enough, sometimes I feel like I should be doing more to glorify God. Anyway, thank you for commenting, you are actually the first person I’ve talked to about any of this. What an awesome post Amber. I thank God that you are truly seeking the face of God and wanting to find His purpose for your life. The journey is just beginning and may God richly bless you in your walk with Him. God truly use you Jack Wellman. Great answers religously & scientifically. I’m sorry to say this, but those who don’t read the Bible, the Word of God, with the help of the Holy Spirit in them & guiding them won’t understand it(the Bible). The year 2009 i was in a very dangerous train accident. I was in a conscious coma for a month. Not knowing what’s going on around but seeing things i can’t even remeber. My skull was broken & so was my neck, my spine & left rib also. A part of my right calves inside was hanging out. When i regained fully consciousness of what state i was in, i was like wow! Speechless. But this is what draw me closer to God & let me accept Jesus as my Lifesaver. While i was laying there in hospital, i threw up. I couldn’t bring myself up, because i was strapped. The vomit went straight to my lungs, blocking it. For 2 days, an oxygen machine kept me alive as i couldn’t breathe. My mom & congregation of the church prayed & leaving it in God’s Hands to answer their prays. The machine kept me alive, but couldn’t give me my breath back. Praise God. Glory to God i’m healthy as can be. Thank God that i can still walk normal, my neck is ok & my spine is fine. My rib still pain now & then, but it’s very little compared to how it should have been. Just a little bit slightly memory loss, where my skul is concern, but it’s not that bad. God gave my life back. Not just to share my testimony, but to also win souls with the art He gave me. That’s part of His Plan that i asked Him everyday to guide me. So no atheist or scientist that don’t believe in God, can’t tell me there’s no God. It reminds me of a joke i’ve read once. Teacher: Can you see God? Students: No. Teacher: Can you touch God? Students: No. Teacher: So there is no God! Johnny: Sir can you see your brain? Teacher: No. Johnny: Sir, can you touch your brain? Teacher: No. Johnny: So you have no brain! We never too young or too old to learn. I learn everyday something new. If i say i can’t figure things out. God says I will direct your steps. (Proverbs 3: 5-6). Kenneth, what an awesome post and how mightily God is using you and is going to use you. I love the story about the teacher. That is a great example of God, even though unseen, we know He exists. Also, you are so good to pray for unbelievers and that the Holy Spirit would reveal Who Jesus Christ is and to see their need for a Savior and to repent and confess. I believe God has given you His Spirit to move in the hearts of men and women and you have such a compassion for the lost in the Great Commission. I thank God for you Kenneth. O ya! I forgot to add. I pray for the unbelievers. I ask God to send His Spirit in Jesus name. Guide them away from what the enemy is brainwashing them for. Go well. God bless. Thank you Jack. I’ve read many of your articles by now & is about to read many more. It’s so very informative & i told my mom you replied to someone in one of your articles that what you say comes from God. Like you said there is Someone that it comes from & as born again Christians we know who’s that Someone. That’s the way we recognize each other as part of the Body of Christ i think. There’s a question i would like to ask you Jack. I have this friend. A boy that’s actualy 12 years younger than me. He have a communication problem, because he don’t talk much at all. He talk to me alot because he feels it’s easy to talk to me, but other people he shut out. Even his mother & brother. When he’s being asked something he shrugged his shoulders, nod his head yes or no or show hands signs. He also have a learning problem, that’s why he can’t read or write properly. I teach him now & then when we have time. Sometimes he’s very frustrated & short tempered when something don’t go his way. Satan know this & use this let him even blame God. Now i have many times talked to him about God the Father, Jesus the Son & the Holy Spirit. Many scriptures out of the Word of God i’ve read & explained to him. Monday he told me he wants to convert. I told him that’s the best decision ever & played him a gospel music programme on my pc where it’s being asked at the end of the show if anyone wants to give their heart to Jesus & say what must be said in a prayer. This afternoon his mother called me to calm him down as his temper was flaring up again & he wanted to break the furniture & he was using foul language, swearing & blaming God according to his mom. Now as you can see Jack this is the work of the evil one. He knows my friend Adrian want to go to the Father in Heaven, but don’t want to let him go. I pray everyday for him & his situations & i bind any evil demon. I know what’s binded on Earth is already binded in Heaven. My friend don’t want to attend church even though i’ve took him once or twice to go with me, but i know i can’t force him. I’ve told him the Monday i would like all my friends to give their hearts to Jesus & accept Him as theis Savior, but i can’t force them. That’s the work of the Spirit of God & that’s where i leave it. Sorry for such a long story Jack. I just want to paint for you a picture of the situation. The question is what must i do with a friend like Adrian? Must i try to talk more sense in him or must i leave it in God’s Hands. How do i know God say that’s enough & that He’ll take over from here? Must i do more to bring him closer to God like James 4:8 say come near to God & he will come near to you. Wash your hands, you sinners & purify your hearts, you double minded. Thank you for reading this Jack. Hello Kenneth. I thank God that you care enough to witness and be part of the Great Commission and have a compassionate heart in desiring to rescue the perishing. As for the mother, not the child is not wild because of the witnessing or presence of God. Quite the opposite. He may have an evil spirit that is resisting the Holy Spirit. Keep praying for him and also for others. It is God Who does the calling to Christ (John 6:44) but He still needs witnesses but you must leave the results up to God. As you said, you can’t force anyone to convert or talk more sense into them. Let the Holy Spirit do the convicting and converting….pray and witness but not too much. We must allow the Holy Spirit to work without human pressure. Do this and leave the rest up to God. Hello pastor. Thanx for replying. My friend avoids me now but he attend church with his mom last night. I have to admit i’m guilty of putting a little pressure on him. Yes i know i can’t do that. That’s the work of the Holy Spirit to convert a lost soul in Jesus name. I know there’s an evil spirit busy with him & trying to keeping him from a new life with God. & in the meantime evil spirit also try to convince me to say that’s not enough & that’s where the pressure comes from. I do pray for him & others everyday. I’ll just leave it in The Hands of God. We can encourage witness, but we can’t convince to convert. Thanx a lot man of God. Keep on doing what you doing what God put you on this website for. Kenneth, at least you care enough to be a part of the Great Commission for the fact is that only 1 in 10 believers actively share their faith with the lost and only 1 in 20 will ever lead at least one person to faith in Christ so I am encouraged that you are involved in rescuing the perishing. I agree that we can leave this in God’s hands but I thank God for you sir that you have compassion for the lost. May God richly bless you for that my good friend. Where does the 34,000 denominations number come from? The one place I see these grossly inflated numbers is in Roman Catholic sources, who use these numbers as a contrast to their one united church (which is apostate). The only way I could see you could get a number like that would be to treat every non-denominational church as its own denomination. This is wonderful to see this website. i have thought for a long time that the church has battled against itself in the since that we have wanted to force other denominations to be the same(note that i said denominations and not religions). not all religions believe in Jesus Christ. as far as true Bible believing and devoted denominations we can truly live as brothers and sisters in Christ. we must learn to love as Jesus loved which we are told love covers over a multitude of sins. when we get caught up in seek out the bad in others and the attacking which was never Jesus way we quench the Holy Spirit which we are clearly told not to do. Follow after Jesus with all your heart mind and soul and then be at peace my dear Brothers and Sisters in Christ Jesus. Fight the good fight as to win the prize. We would not have so many denominations if all churches would throw their “doctrines” into the lake of fire, and teach the bible verse by verse. Churches do NOT have to explain what God means, God will reveal to each what He wants us to know. We are only here for one main thing. We are to decide whom we will worship, God or satan!